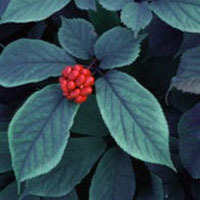 Some athletes say that American ginseng helps reduce fatigue. There is little research on the effect of American ginseng (Panax quinquefolius) on exercise. Theoretically, American ginseng increases cortisol (a steroid hormone found naturally in the body) output, which suggests that it should be able to increase athletic performance; however, there is no human research to show this to be the case. Historically, it has been used to help people who are fatigued feel less lethargic. The energizing effects of American ginseng only last while it is in your system. If you are consistently feeling tired, it’s best to pinpoint the reason for your fatigue.